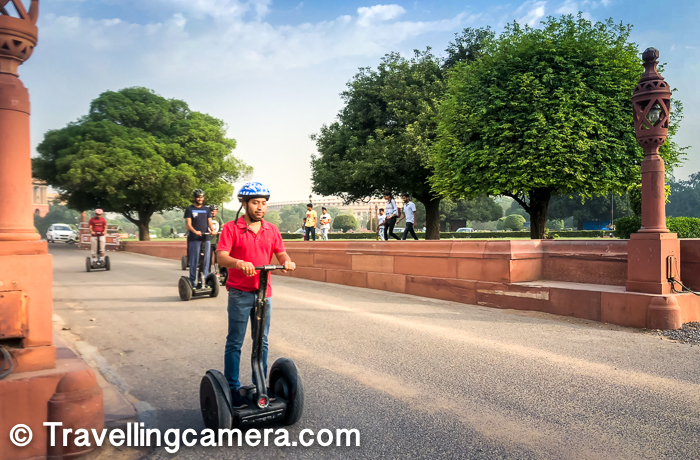 Rajpath/Lutyens Segway Tour in Delhi - To do or not to do? 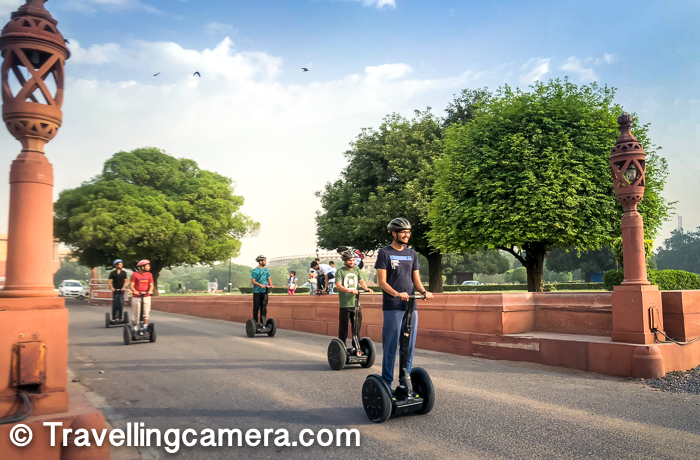 Segway tours are getting quite popular across the world and especially in tourist places. 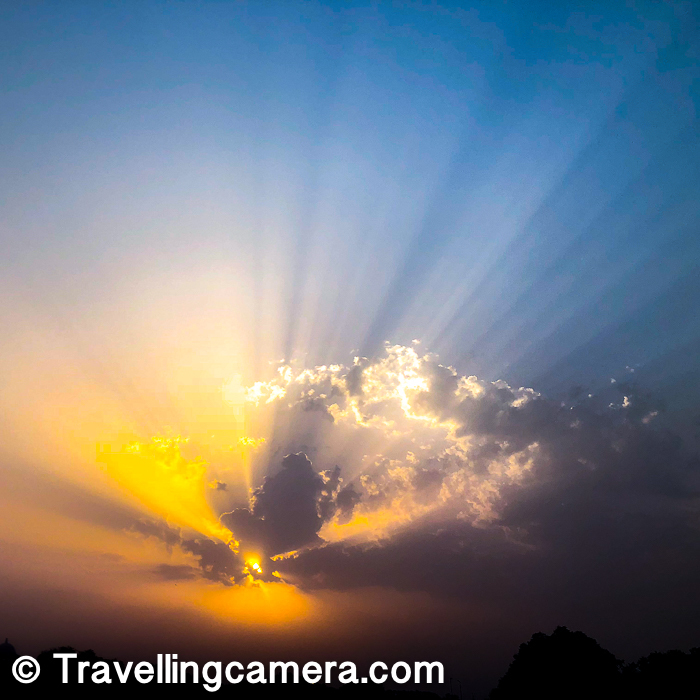 Similarly there is one option in Delhi as well and they have 2 tours - Rajpath Tour and Historical Tour. 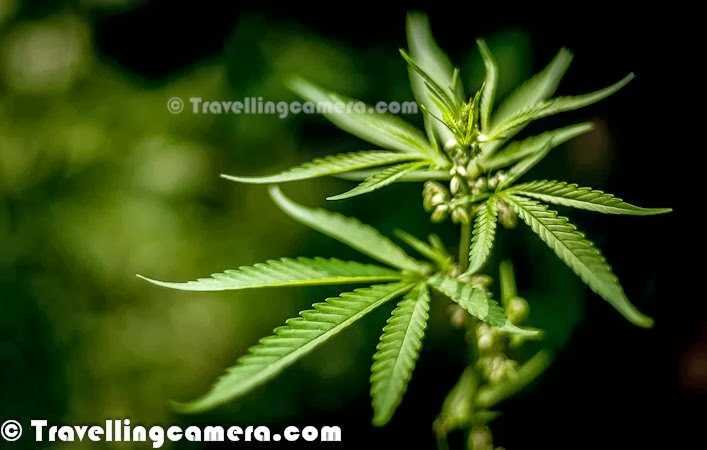 The second one has been stopped because it was not feasible to conduct the tour safely because of the road conditions and the traffic patterns. 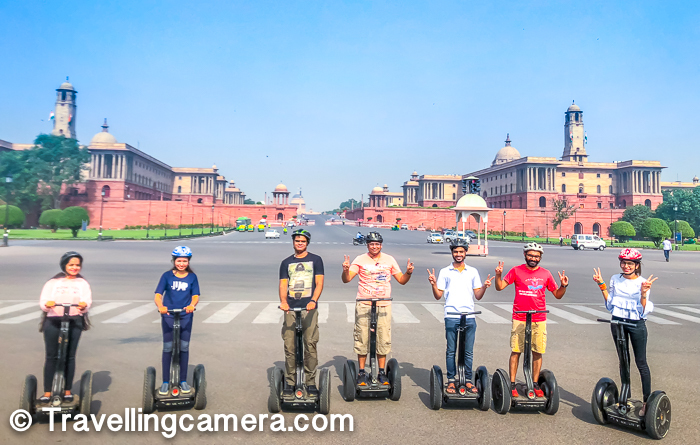 Now there is only one tour available which takes you through President's house, Parliament House and the India Gate. 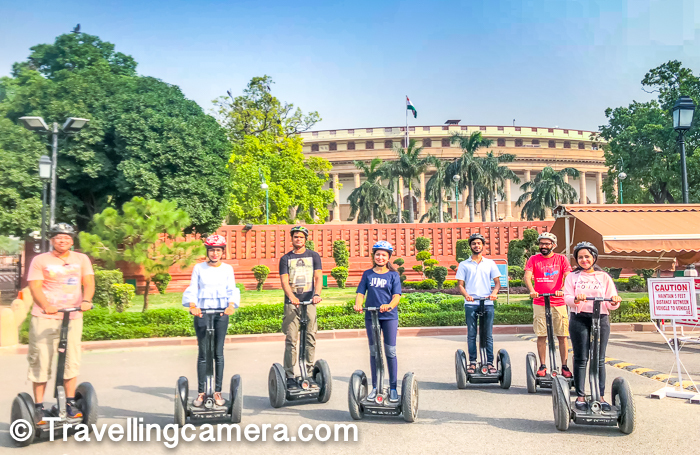 Rajpath Segway Tour just touches the entry points of President's House, Parliament and India gate which is not more than 30 mins and 10-15 mins go into trying the machine and getting used to it. It's pretty simple to operate a Segway and chances of falling down from it is very low unless you break the basic rules. 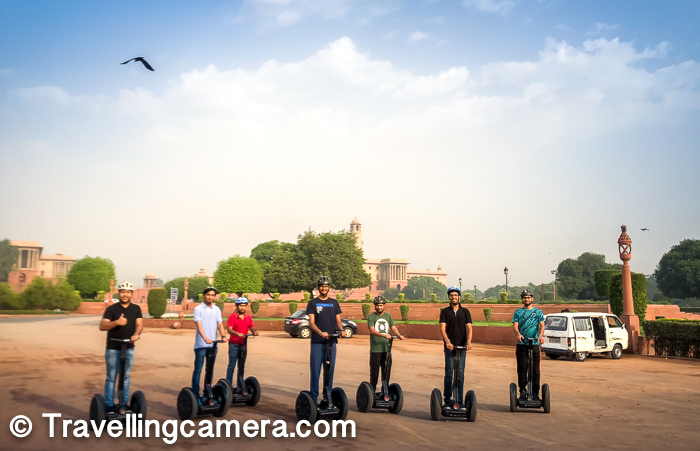 Delhi Segway Tour Timings - This tour happens early in the morning and starts at 5am. There are 1 hour slots and you can prebook any of those slots. There are 4 such slots till 9 am. Although it was hot in the month of May, but if you are on Segway, the heat would not bother you that much, so any of the slot if fine. The best slot would be 6-7am when it's well lit and sun is still struggling to come out with full light and heat. 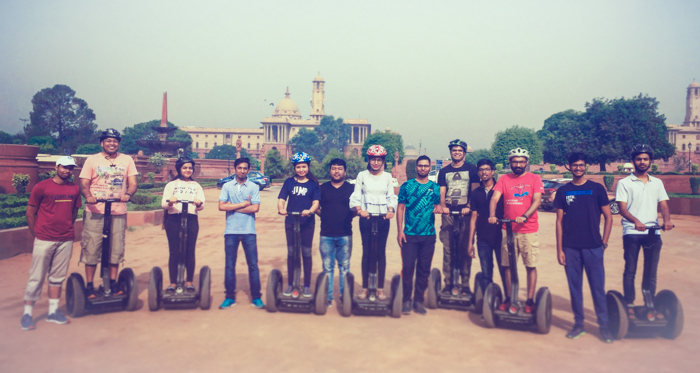 Recently we went out as a team to experience Segway tour around Lutyens. We were in a a group of 15 and had booked 2 slots and the Segway company has only 8 segways, so we had to go in 2 different groups. All of us were on time and met at mentioned location. 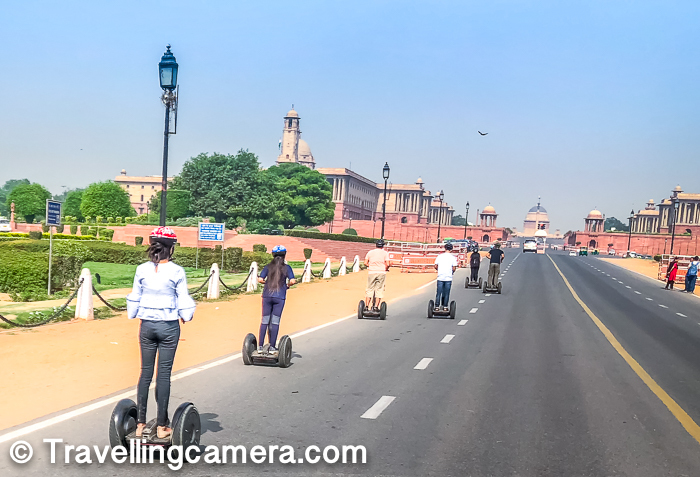 Getting exact co-ordinates of this location are more important when you book the Segway Tour in New Delhi. 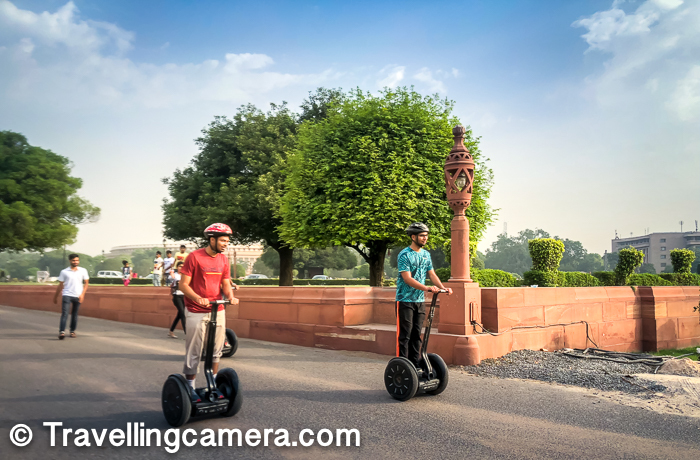 Cost - during the weekdays it costs you 2000 Rs per Segway ($35) and over the weekends the cost of 2500 Rs ($40). If you are a bigger group, certainly you can bargain better. We got the deal at 2200 over the weekend and I believe we could have negotiated more as we went in a group of 15. Since I was early, I saw only 2 people in 6am slot. So it's not like these slots are booked all the time and now I can relate why that's the case. 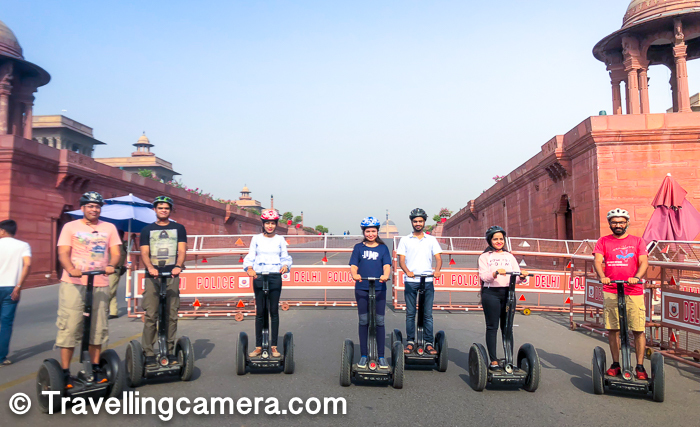 Why Segway Tour is Delhi is not worth? 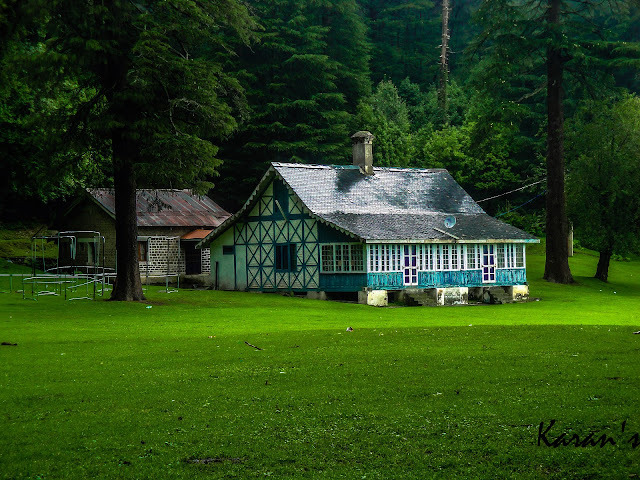 - If you have been to Lutyens, this tour doesn't bring any differential value and in fact, this is shortest tour that you can have in Lutyens. And if you have already experiences Segway, I will not recommend it at all. 2000 rs is lot of money of 45 mins tour, with no special thing about the tour. 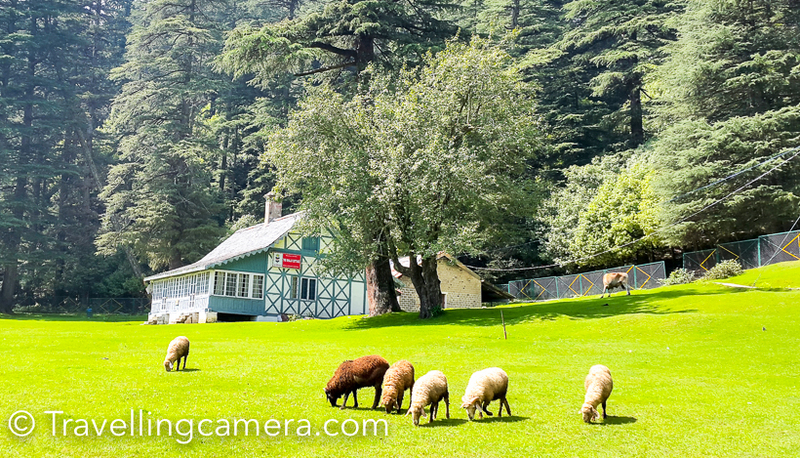 I would rather love to walk around India Gate, President's House and the Parliament. And if you are planning any international trip soon, I would suggest to spend this $40 in that country and experience Segway. I am sure that distance to be explored would be more there and road conditions would be more friendly. Again, it's personal choice and value of 2000rs is different for different people. More than that it's also about value you get. 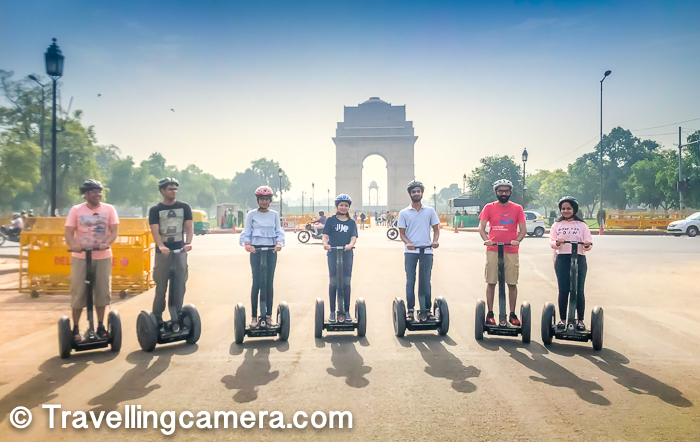 Why Segway Tour is Delhi is worth? 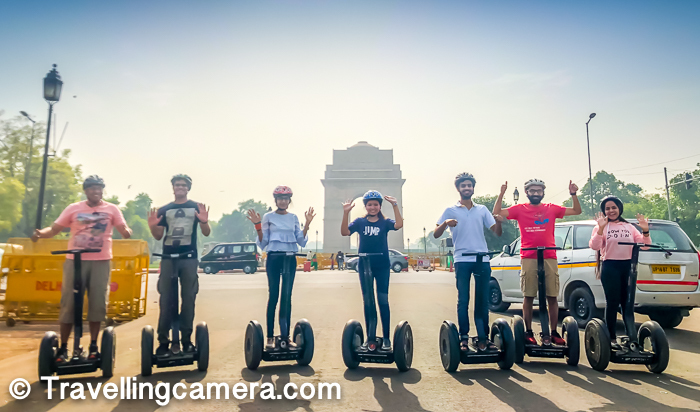 - If it's first time for you in Delhi and have never been to Lutyen's and never ever experiences Segway, then it's worth and fun. 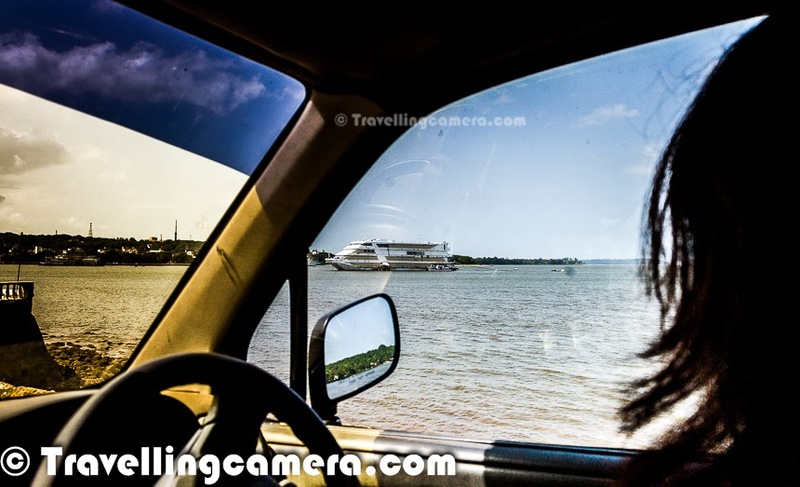 If you interesting plans for weekend mornings and 2000 rs per person is not that big deal, go for it. Overall, we all had fun during this Tour and I am sure we must have recommended it many on the basis of mentioned criterion. How to reach the meeting point & Car Parking arrangements - If you like commuting by Metro, this place is pretty close to Central Secretariat. And if you plan to come by your own vehicle, there is enough parking around the road and it's not an issue early in the morning. The meeting point of Segway Tour is also a parking area for public. Feel free to drop your questions and suggestions in the comments below. Use dustbins. 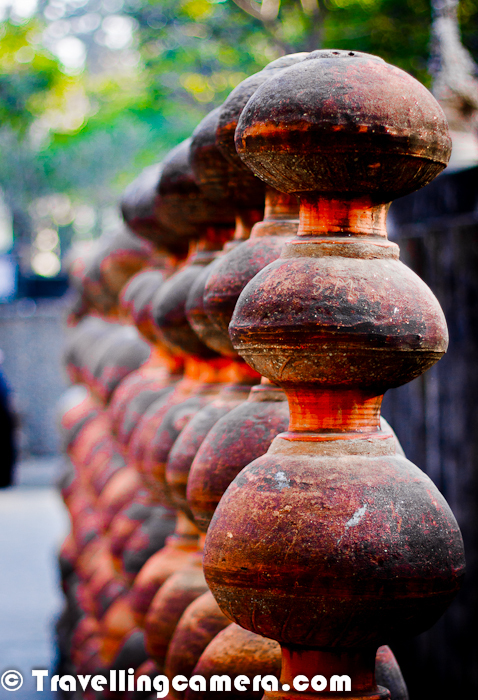 Tell us if you went to a place and found it hard to locate a dustbin. Avoid bottle waters in hills. Usually you get clean water in hills and water bottles create lot of mess in our ecosystem. Say big no to plastic and avoid those unhealthy snacks packed in plastic bags. Rather buy fruits.